XXII, 465 p., 15,6 x 20,9 cm. 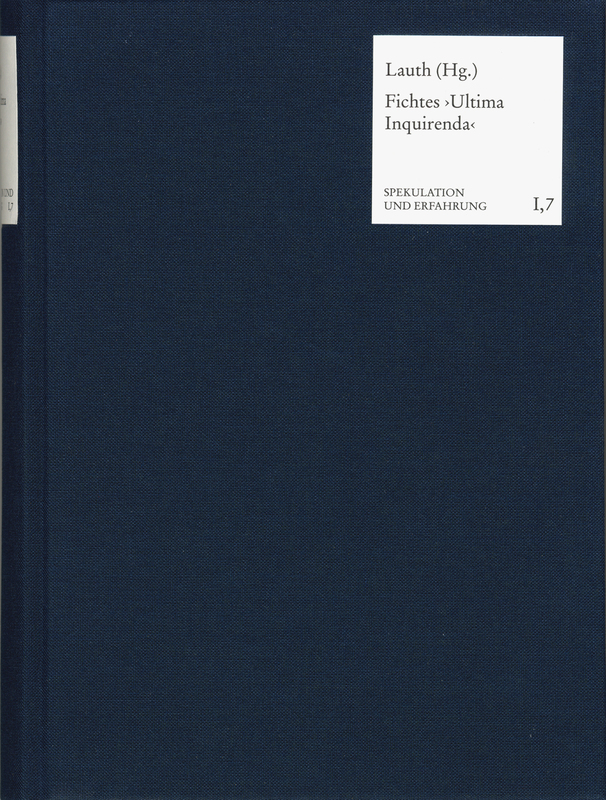 In addition to the last ›Einleitung in die Wissenschaftslehre‹ (Introduction to the Science of Knowledge) and the work itself (published 1814), the central part of this volume is Fichte’s last ›Diarium‹. The ›Science of Knowledge‹ begins immediately with the deduction of transzendentalen Wissens (transcendental knowledge). The intimate inner philosophical dialogue, in which any thoughts of potential readers ceased to exist, provides us with something which can hardly ever be found in history: insight into the creative thought processes of a philosophical genius. It leads us to the outer boundaries of any kind of epistemological reflection which had been done up to that time. An introduction, various cross references and a chronology help the reader to get to the heart of the intellectual links between the three works which overlap in time. Dieser Band ist besonders eindrucksvoll, ja bewegend.